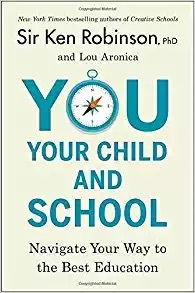 You, Your Child, and School: Navigate Your Way to the Best Education by Sir Ken Robinson and Lou Aronica will help parents get the education their children need to live productive, fulfilled lives. If you or anyone you know has children in or approaching school, this is a must-read. Be sure to get a copy and perhaps some gift copies for parents you know. This is a sequel to Creative Schools. See my summary here. As a parent your worry list includes too much testing, a narrow curriculum, individual attention, learning problems, medication, possible bullying, college costs, and finding a good job. Schools also might not value a child’s strength as they magnify their weaknesses, and make grades so important that students lose a sense of self. Children love to learn and are natural learners. For most of human history, children educated themselves as they learned from others. With today’s focus on test scores, children are more likely to dislike learning as they become less healthy and more sedentary. 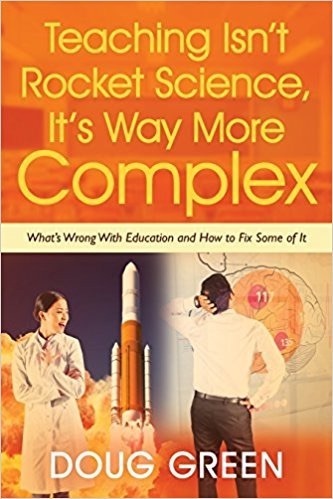 A focus on things like STEM is often done to the detriment of other subjects that are none the less important to our economy and society. Ken argues for ditching the acronyms. Current reforms have not budged achievement levels as they cause enormous stress and loss of enjoyment. Businesses want employees who are adaptable creative team players as the support reforms that suppress these very attributes. Vocational courses are also squeezed out as too many college graduates can’t find appropriate work. Regardless of your family structure, the adults in a child’s life are responsible for meeting a variety of needs. Here Ken uses Maslow’s hierarchy, which includes physiological, safety, love and belonging, esteem, and self-actualization. The final need means becoming meaningfully fulfilled as a person. As for esteem, children need praise, but it shouldn’t be endless and it should be tempered with constructive criticism. Children know when they have worked hard. Parents should set boundaries and provide moral education. Help them learn how to make decisions and to find a sense of direction and purpose. This shows why one-size-fits-all education is wrong. Ken defines five parenting styles. It seems that the authoritative style is usually the best as it involves setting rules that can be justified to the child and the willingness to alter the rules it conditions permit. Students should be allowed to struggle at times so as to work to solve their own problems. Such rules are more like guidelines that are a work in progress, and they tend to produce the happiest children. Research indicates the one’s genes and one’s environment have about the same impact on what one becomes. This means that parents have about half of the responsibility. The culture surrounding a child has a huge impact. Usually, money has a big role as poverty brings with it a great deal of stress for many reasons. Poor kids are six times more likely to be neglected or abused, live in neighborhoods that are less safe, have lower birth weight, learning disabilities, and emotional and behavioral problems. There is no single definition of intelligence and each child’s potential needs to be unlocked if they are to be successful. This entry was posted on Monday, May 21st, 2018 at 7:35 am	and is filed under Book Summaries, Education Books, Leadership Books. You can follow any responses to this entry through the RSS 2.0 feed. You can leave a response, or trackback from your own site.